While Freeman Migration Services Australia aims to provide accurate information on this website, we cannot accept responsibility for any errors or omissions. Because Australian immigration law and regulations change regularly, it is important that you check any advice on this website first before making a decision. 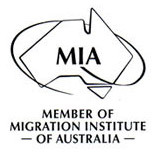 Any information provided on this website is not intended for use as immigration advice and you should not treat this information as a substitute for professional migration advice. Any information shown herein can be checked on the website of the Department of Home Affairs.